More that ever live music needs your support. Please share this. The TBA Big Band is the First Coast's only regularly performing pro big band. The membership consists of professional musicians and educators from the Northeast Florida area. Years of performing, beginning in 1969 in NY, California, South America, NW and Europe, Caroline Aiken was named “The Best Acoustic Act”(Atlanta Mag) in her birth town of Atlanta, GA. Her rich history includes recording and performing with Bonnie Raitt and the Indigo Girls, opening for Arlo Guthrie, Muddy Waters, Doc Watson, Randy Newman, Bonnie Raitt, Little Feat, 38 Special, Beach Boys, Janis Ian, Richie Havens. 2017 JUNO nominees and SiriusXM winners Sultans of String create “Energetic and exciting music from a band with talent to burn!” (Maverick Magazine UK). 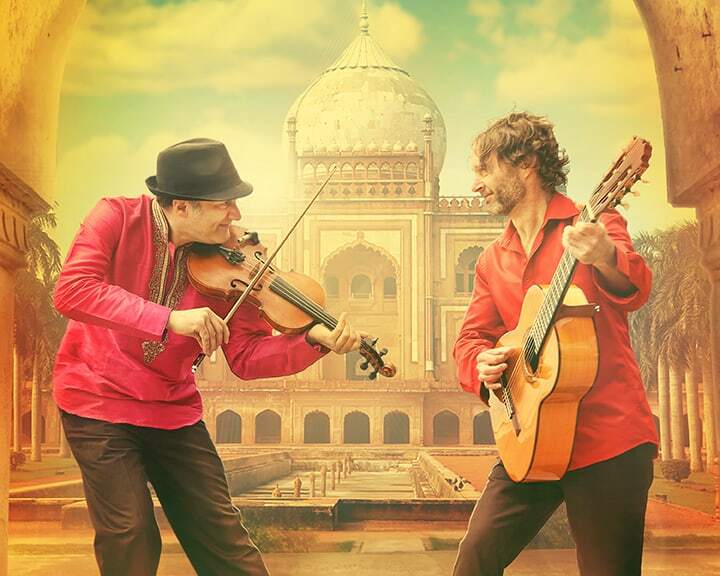 Thrilling their audiences with their genre-hopping passport of Celtic reels, flamenco, Gypsy-jazz, Arabic, Cuban, and South Asian rhythms, Sultans of String celebrate musical fusion and human creativity with warmth and virtuosity. Multi-instrumentalist and singer Dave Curley has collaborated with everyone from Grammy award winners Moya Brennan of Clannad to Ross Holmes of Mumford and Sons. Andrew Finn Magill, an Asheville native, is an All-Ireland finalist fiddler and Ropeadope Recording artist. Come hear two of the most exciting young trad musicians in the U.S. for a night of Irish tune & song!